The Squak shoves off with a load of passengers sometime in the late 1880s. 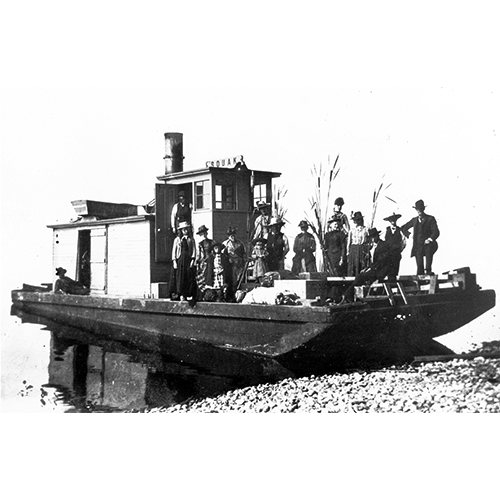 The forty-foot scow ran daily from Seattle's Madison Park on Lake Washington to service the lakeshore and was the first passenger vessel to operate on the Sammamish Slough. The Squak carried passengers and freight to Bothell, Woodinville, Redmond, and Issaquah. Photo courtesy of Puget Sound Maritime Historical Society.